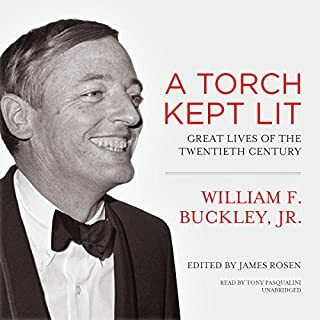 In a half century on the national stage, William F. Buckley Jr. achieved unique stature as a polemicist and the undisputed godfather of modern American conservatism. He knew everybody, hosted everybody at his East 73rd Street maisonette, skewered everybody who needed skewering, and in general lived life on a scale, and in a swashbuckling manner, that captivated and inspired countless young conservatives across that half century. I am a fine artist and I highly recommend this book to anyone who loves history as well as a story well written.... A life well told. The narration is comfortable and the narrator more than capable. William F. Buckley.... I had no idea! An amazing life!